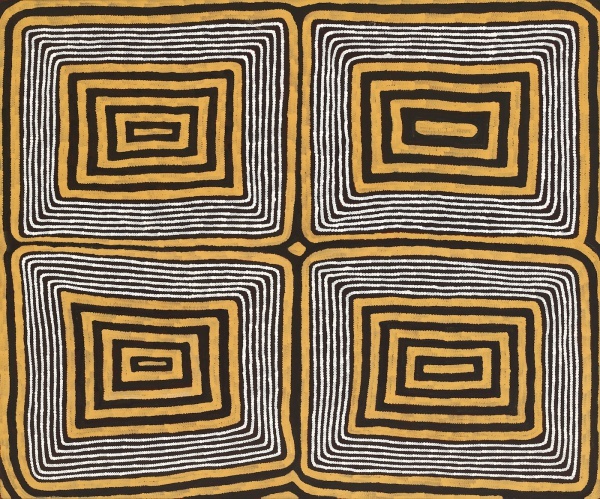 Aboriginal art is a unique kind of art form and is not known to many people. 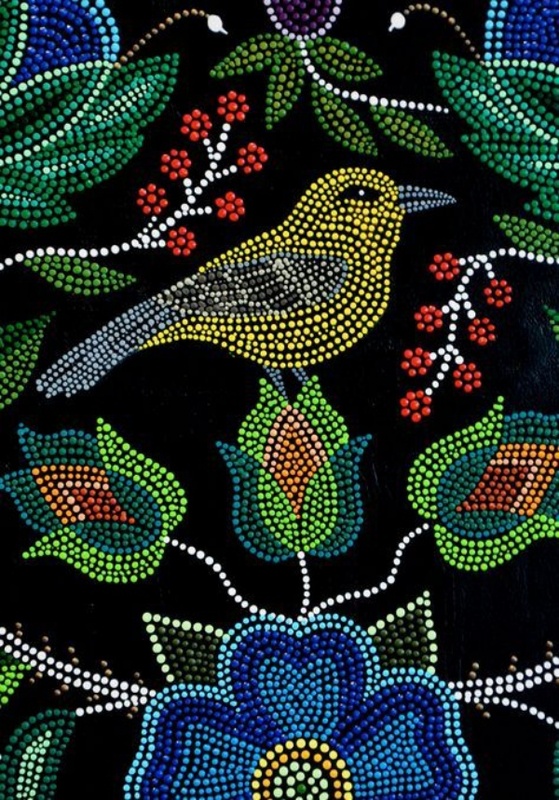 This is one of the oldest and the most exquisite kind of paintings made up of dots. 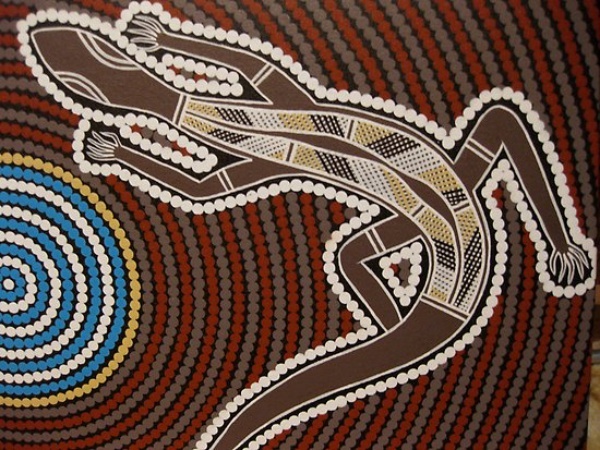 Aboriginal art has its roots in Australia. 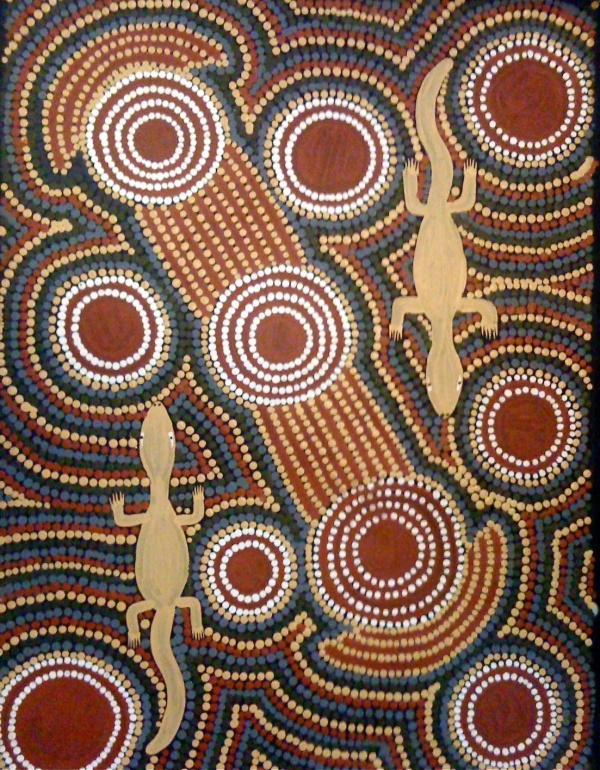 Native people from Australia namely Aborigine’s first introduced this art form. 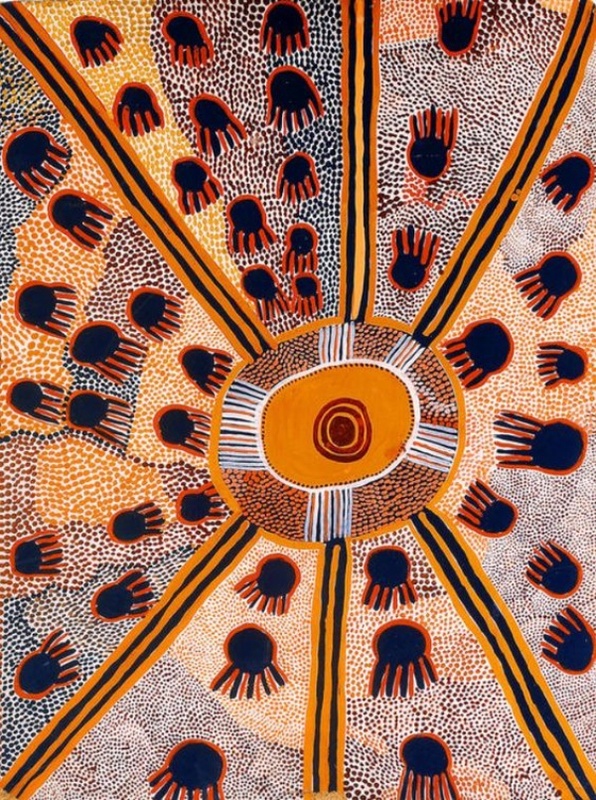 To convey their cultural stories, symbols and to pass it on to the next generation they made these kinds of paintings on wall, caves and sometimes even on body and sand to preserve them. 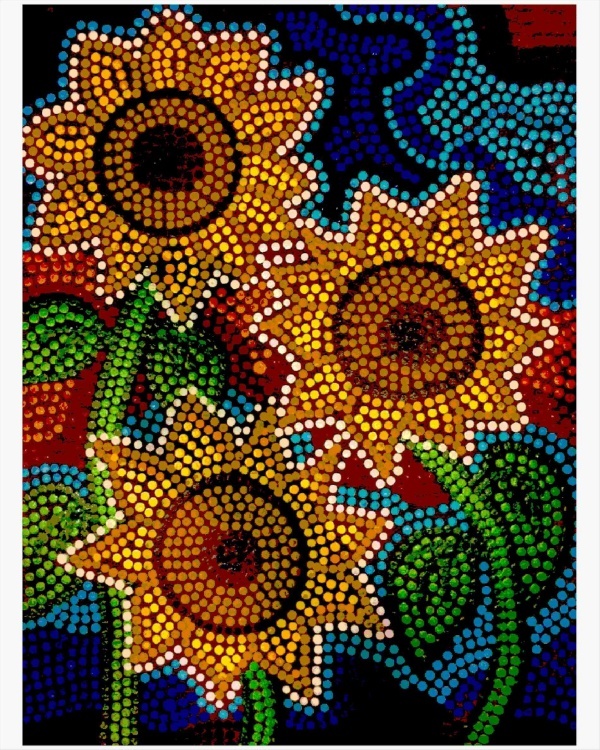 These paintings are made up of dots and also pottery designing with the use of dots and simple lines has intrigued art enthusiasts. Looking at Original pictures of handmade ceramic dotted pot closely, you will see with what finesses people make simple dots create wonderful and complex designs, having great aesthetic appeal. 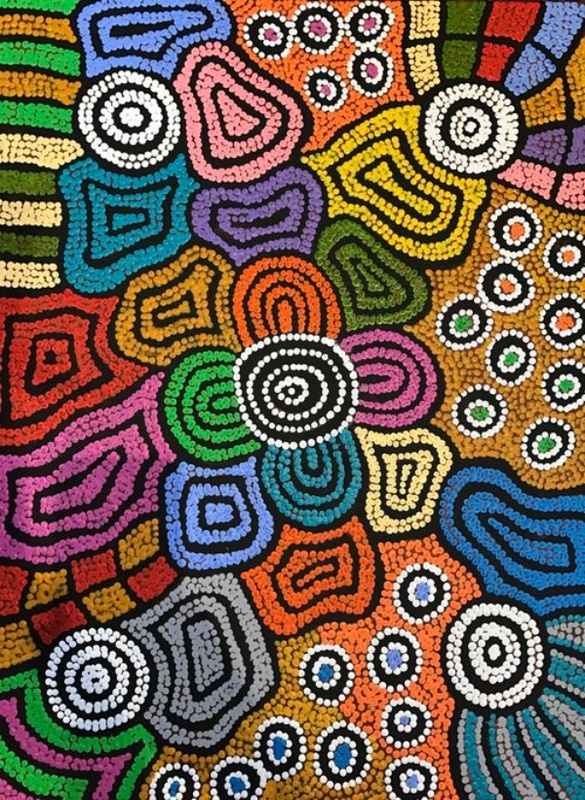 Dots vary in size, there can be one dot or a single dot made up of a cluster of dots. 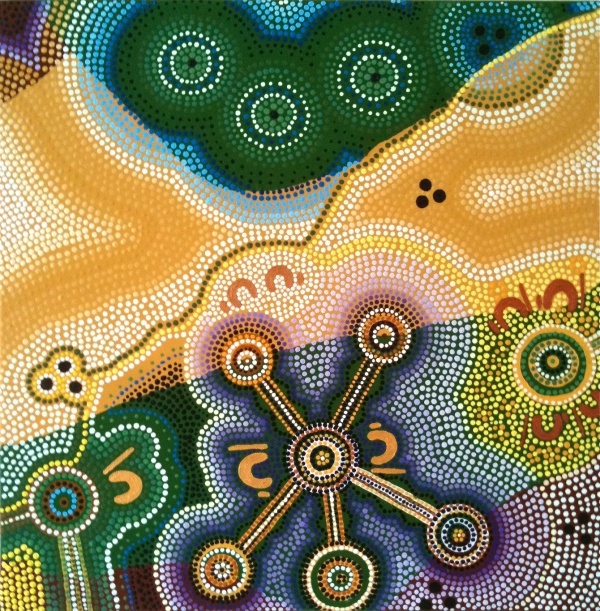 Colourful dots are put together to create beautiful and intricate designs full of traditional stories and sacred symbols. 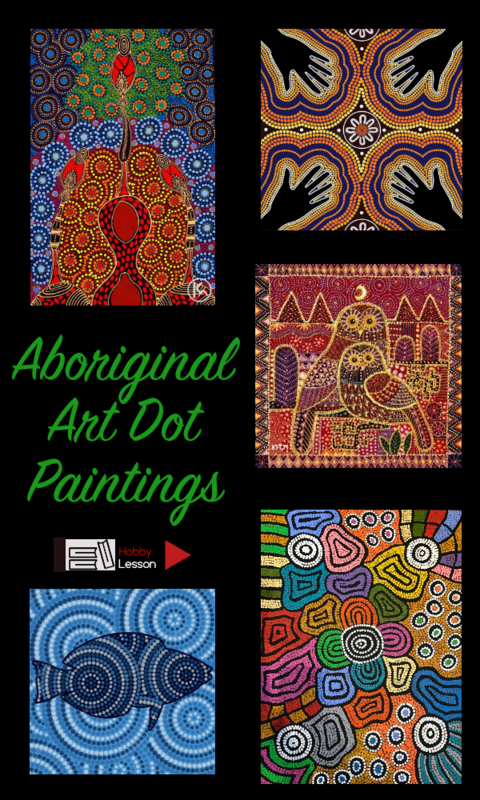 Now that you know a little about these paintings lets take a look at some of these interesting Aboriginal dot paintings. 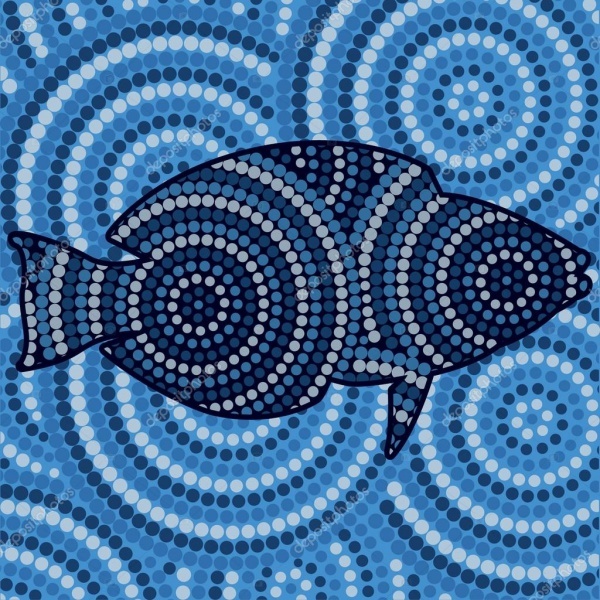 This ocean painting has a lot more meaning to it; it depicts the living creatures in their natural habitat. 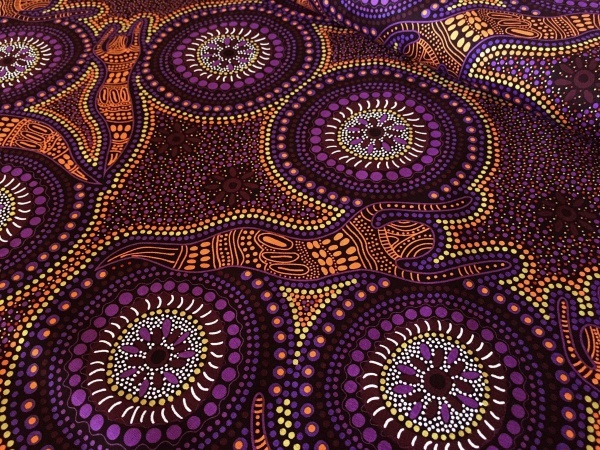 The beautiful designs of vibrant colours displayed in a pattern show every small detail possible. The person who drew this must be enchanted by seeing the mighty ocean and its creatures and must have drawn this piece of art. 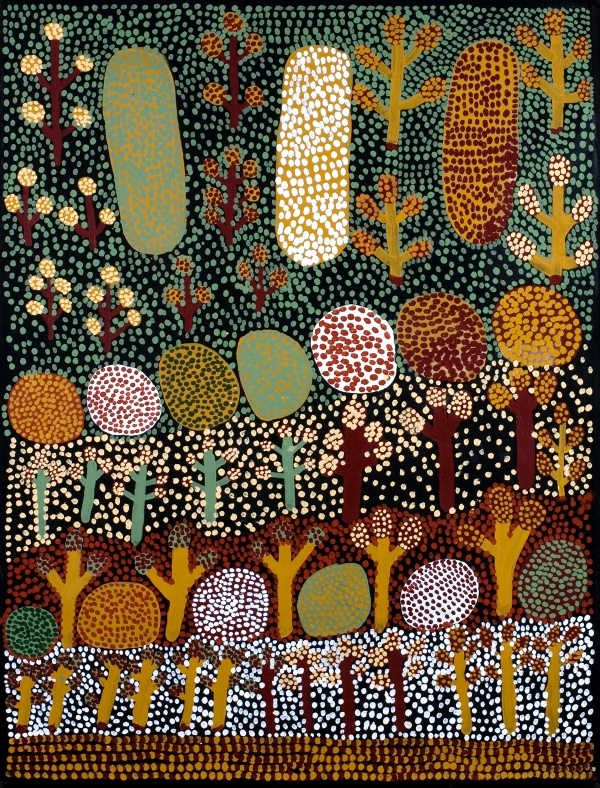 This painting as you can see has dots made in the most artistic way possible, using a bright palette of colours to show a tree while paint leaf with watercolor… In the earlier times when acrylic colours were not available people used clay, berries, flowers to extract colour from them to create such stunning artworks. 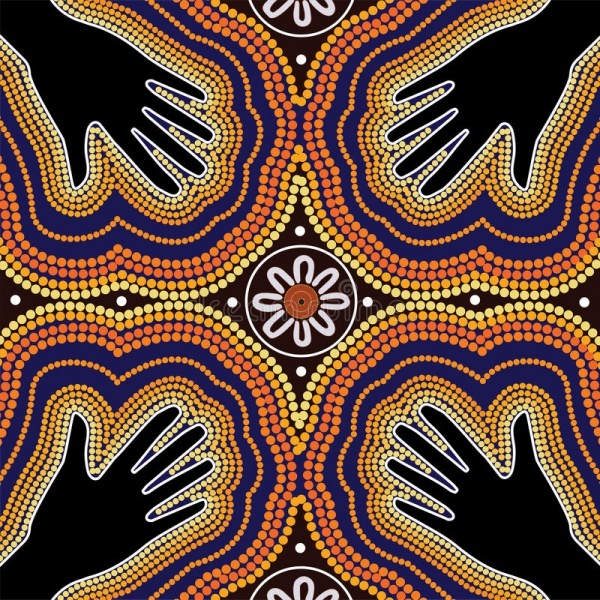 Fun Fact – An Aboriginal artist cannot paint a story that does not belong to them through family. 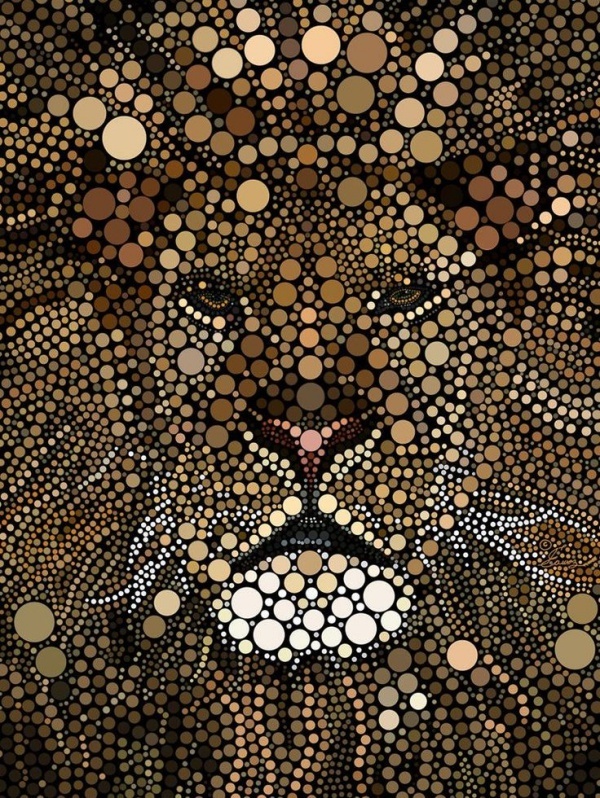 This extremely neat dot pattern is a great illustration of a lion. 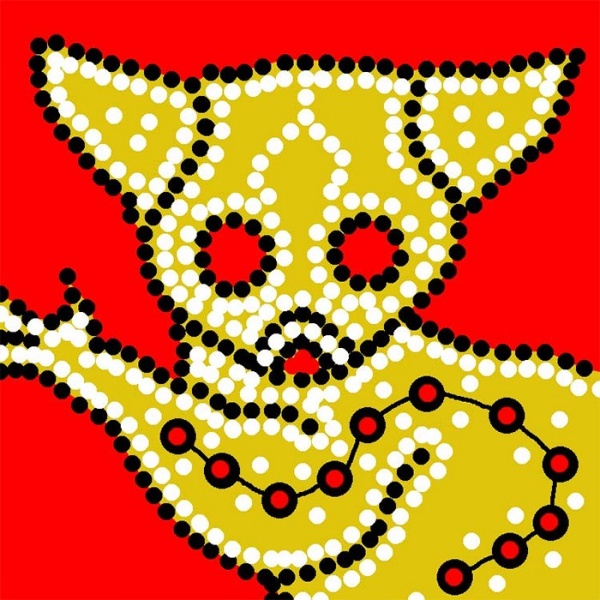 The use of varying dots in size is used to focus on the features of the face to show details. 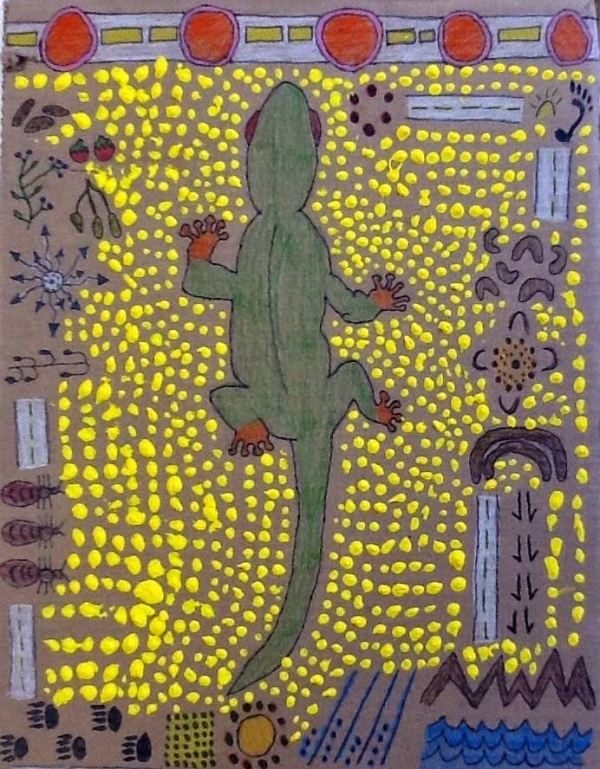 The natives loved making simple symbols like of fruits and illustrations of animals pattern to show them to their further generations. 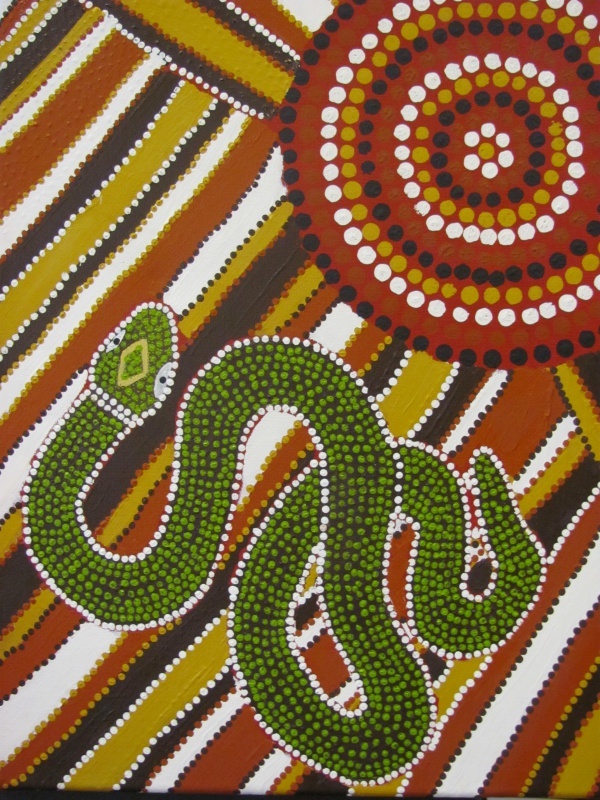 The aborigines made paintings with a deeper meaning and knowledge. 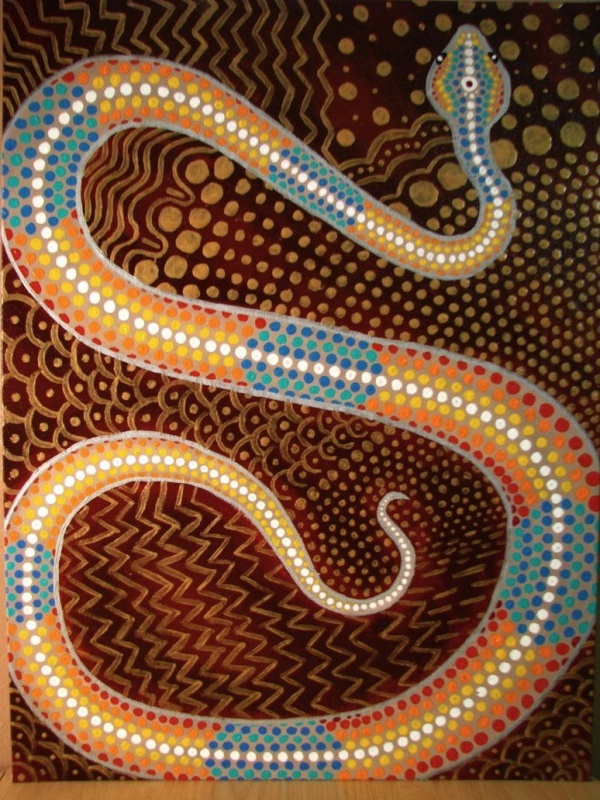 They made complex figures with hidden symbols so that any other community cannot understand the hidden meaning. This alluring illustration is a blend of colours and depicting a story showing spirits. 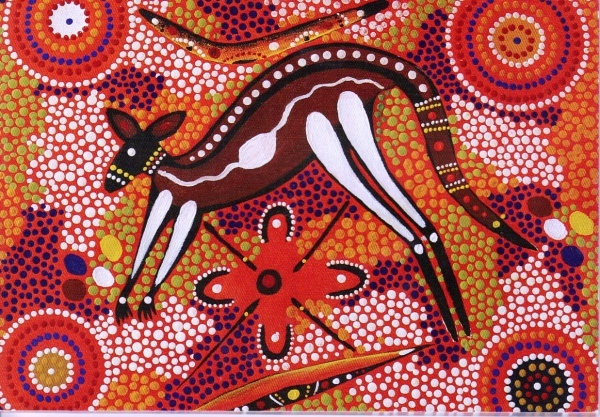 This modern art painting is made with acrylic paints and carefully chosen colours. 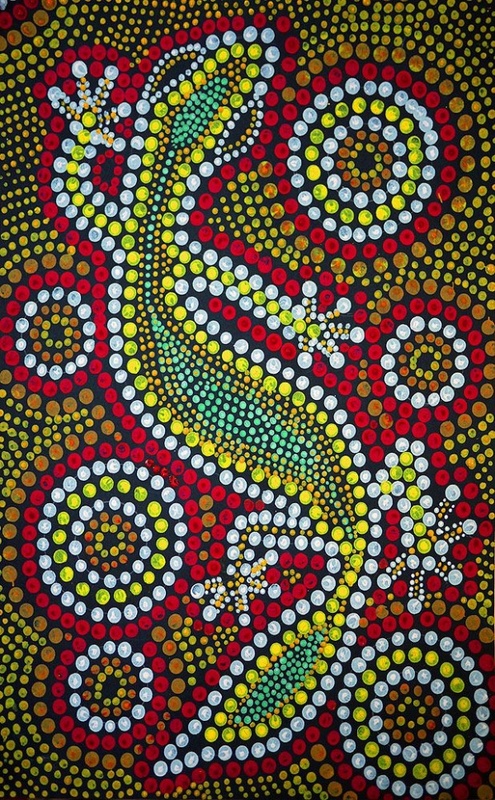 Not to mention what’s pleasing to the eyes has a lot of precision after it with eat dot beautifully placed to make a pattern like this. 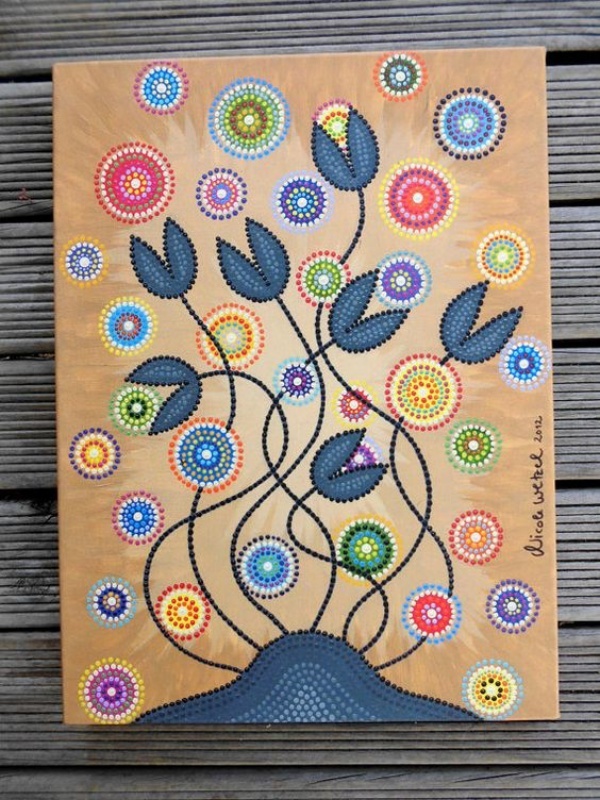 A blend of modern and contemporary this aboriginal dot art painting shows flowers gracefully portrayed with contrasting colours of blue and green. 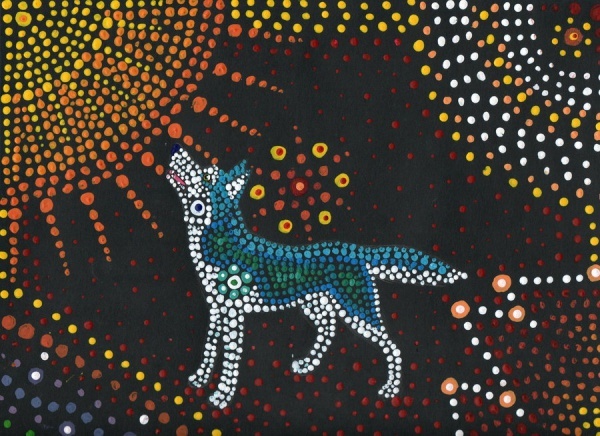 We can’t help but notice another wonderful creation by an aboriginal dot artist. The minute details and the intricate design shows that how with such dedication and patience this masterpiece must have been created. 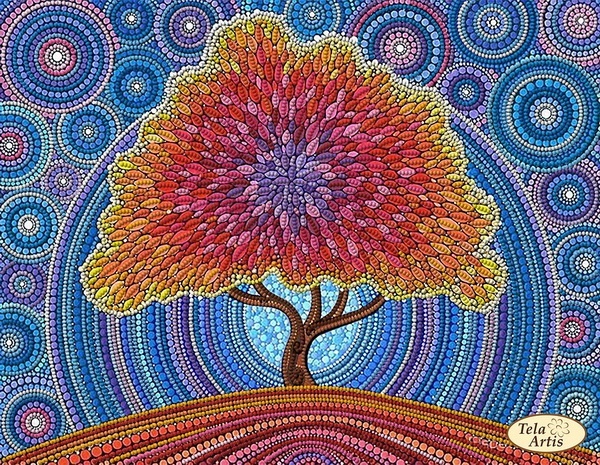 When you look at this painting what does first come in your mind, an infinite universe maybe… well this painting shows a powerful aura around it, something magical. 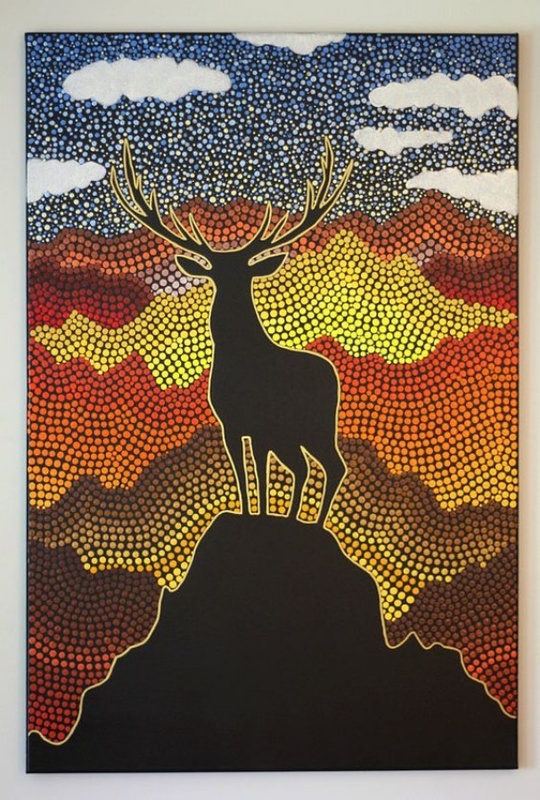 The shades of black and grey dots create a depth effect that is very fascinating. 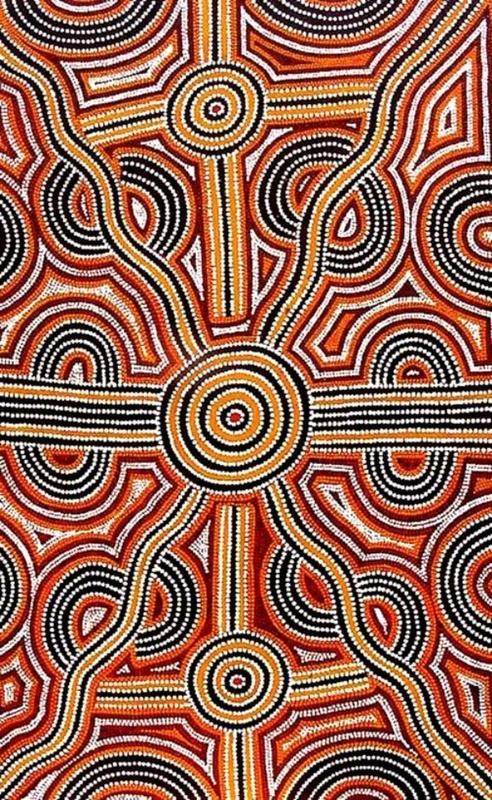 Fun Fact – First the tribes used to make these paintings on soil and then winds or water would wash it away. 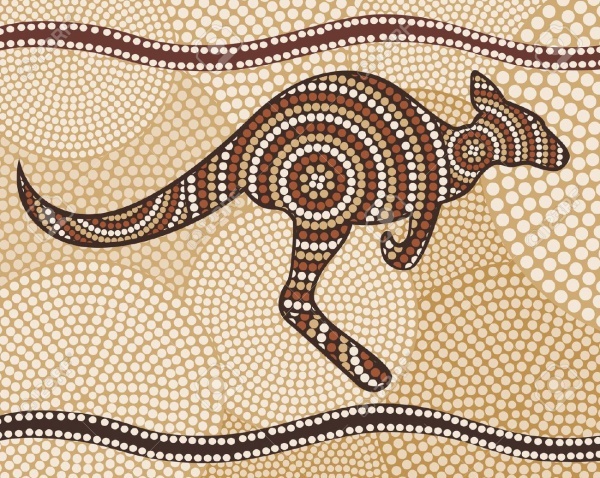 It’s then that they realised to make it last we should draw them on walls of caves and other surfaces. 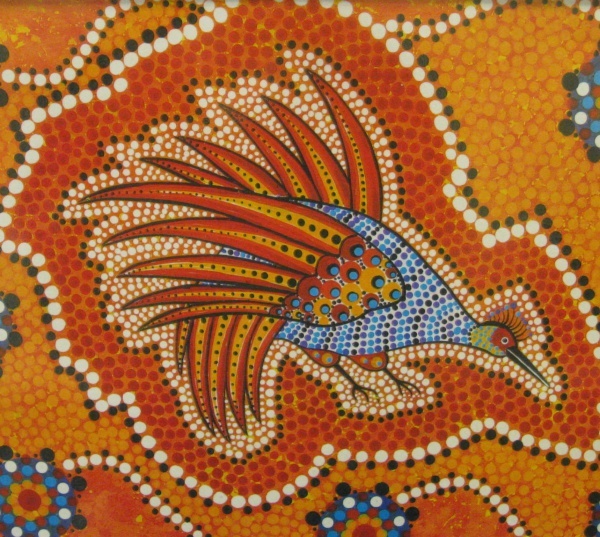 This divine painting has a whole colour pallet with a lot of colours combined. 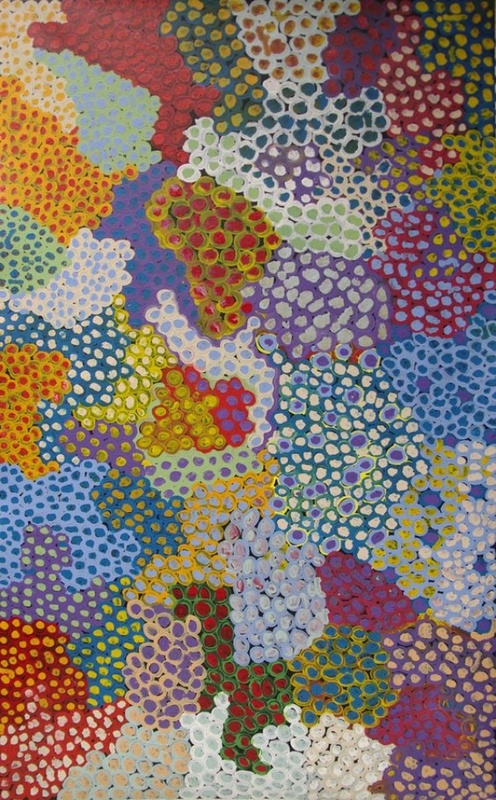 The smaller dots transforming into large ones gives a magical effect to this painting. 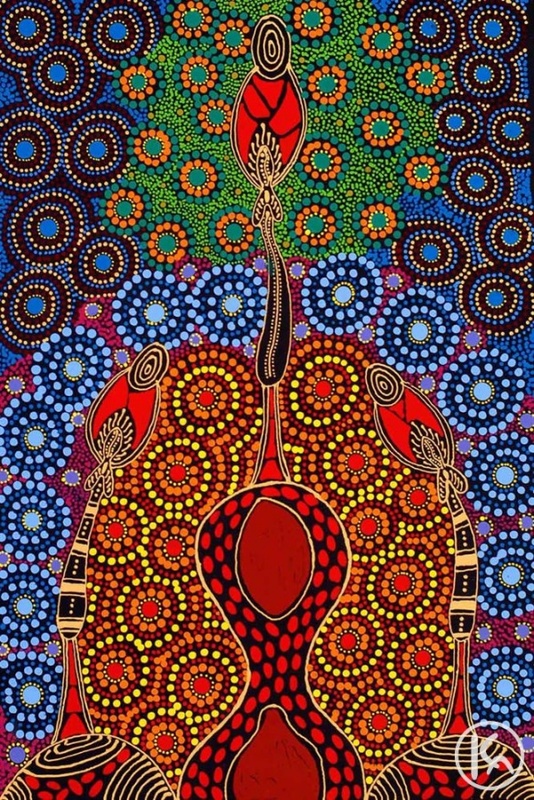 They say Aboriginal artists were mostly women because they used a more colorful palette of colors to make the painting more lively and attractive. 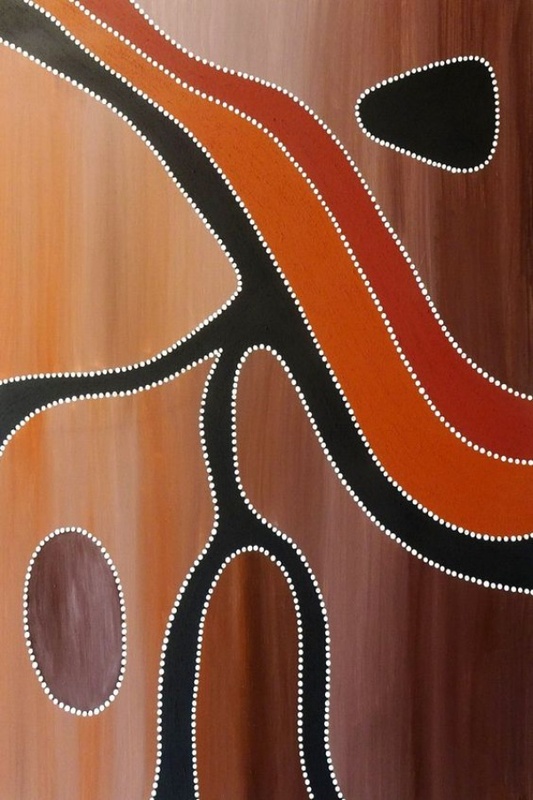 Just like that’s the use of shades of yellow and orange in this painting is commendable. 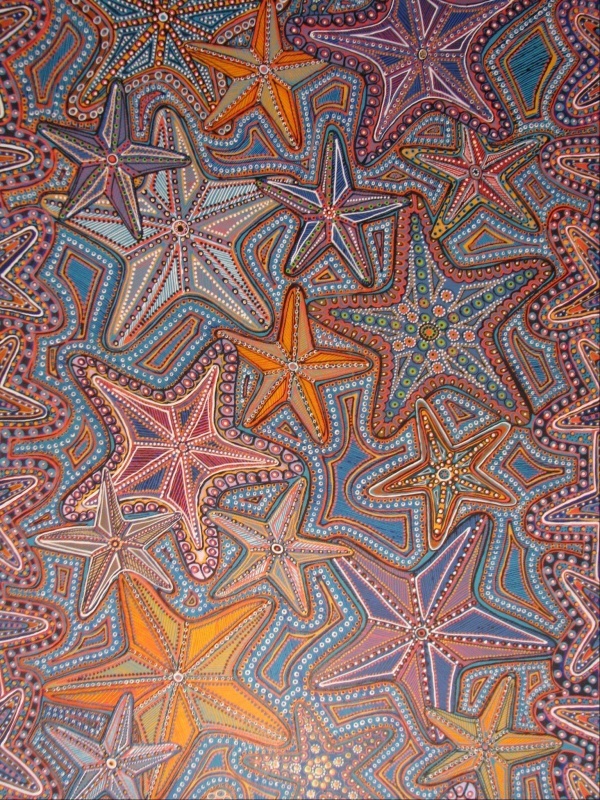 Definitely a unique design this finely detailed painting looks as if it’s a milky way or a galaxy. 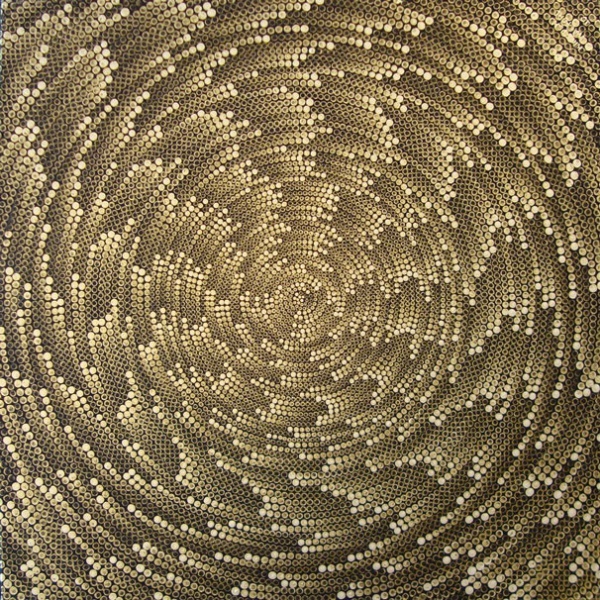 The circling motion gives a daunting 3D and moving effect to the painting. 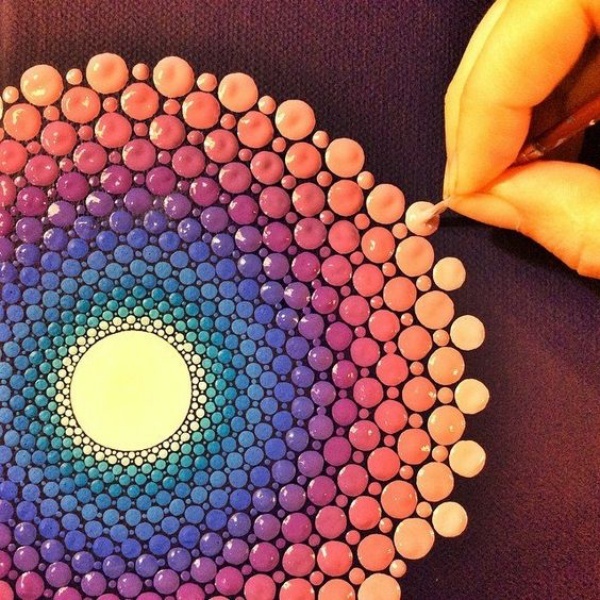 Wondering how with such precision this masterpiece is made! 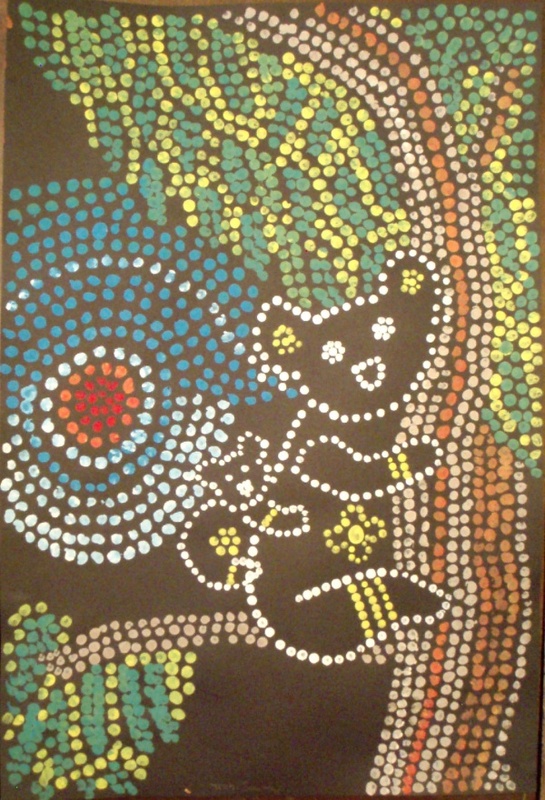 We can’t get over this last but not the least dot painting. 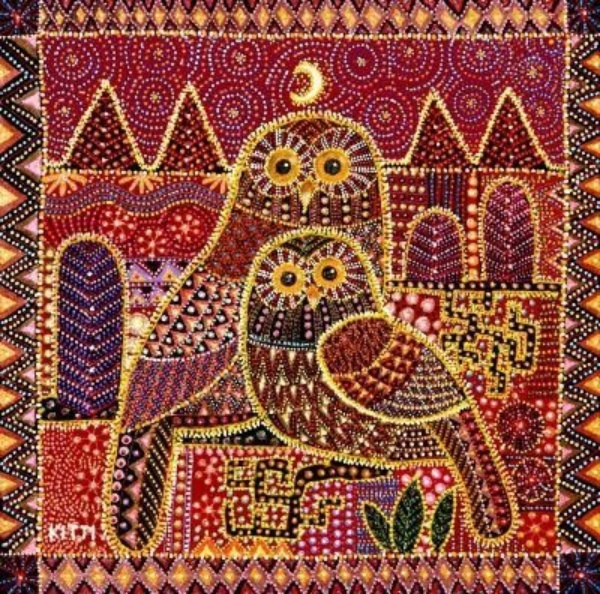 When you try to portray a story in its most pure form it is bound to be manifested in such a heavenly painting. 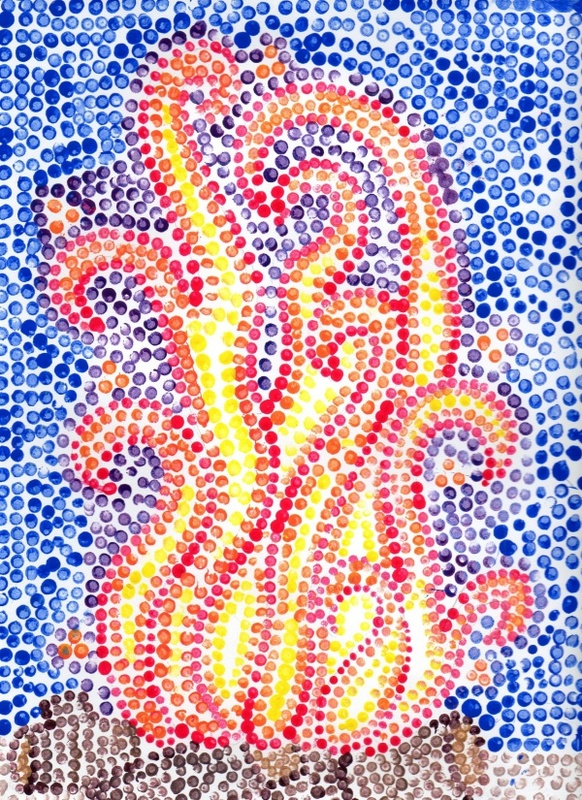 Art is a creative ability of an individual to express their feelings, thoughts and expressions. 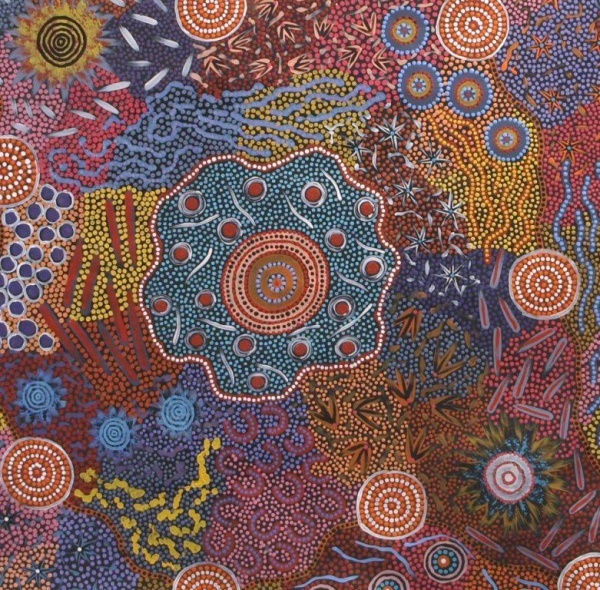 One such art form we saw today is the Aboriginal art, which is much more than just a painting full of dots but a story being depicted with hidden meanings. 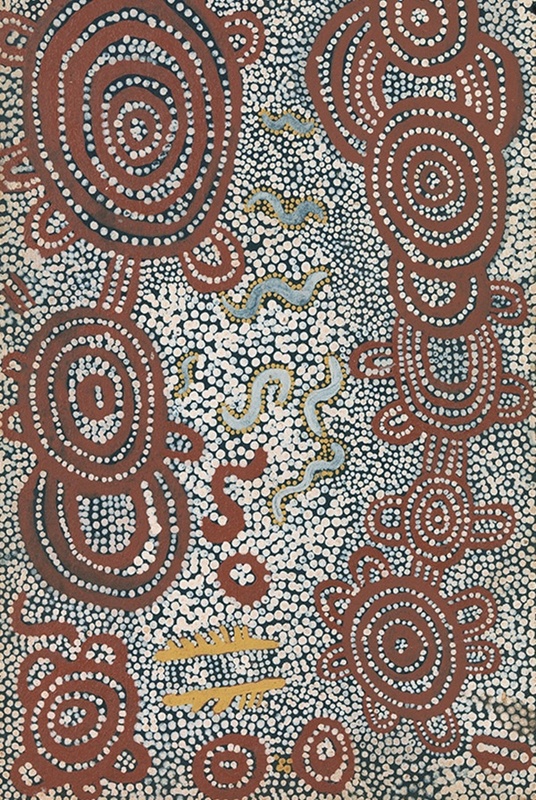 Nowadays it is being modernized within modern art and is being experimented with different patterns and colours. It’s definitely an art form to try, and we assure that you would thoroughly enjoy creating one of your own.